Jeff Baron joined Commonwealth Financial Group in September of 2015. Prior to joining us, Jeff spent 13 years as a financial advisor at Northwestern Mutual’s downtown Boston office. He previously ran marketing and business development for a local startup and was a management consultant with A.T. Kearney. Jeff enjoys the deployment of intellectual capital in helping clients solve problems, and his work at CFG is centered on this type of client service. Jeff’s practice is primarily focused on strategic financial planning with a particular expertise in retirement income distribution and maximization. He maintains several designations, including Chartered Advisor for Senior Living, Chartered Financial Consultant, Chartered Life Underwriter, Certified Long-Term Care, and Retirement Income Certified Professional. Jeff has qualified for MDRT every year since the start of his career in 2003 and has achieved Court of the Table status since 2007. In 2016, he qualified for his first Top of the Table status. He achieved the NAIFA National Quality Award for the first time in 2005, and he has received that award every year since. Jeff graduated from Colby College with a degree in government with a minor in creative writing. He continued his education at Cornell's Johnson School and graduated with his MBA in General Management. Jeff currently resides in Wayland, Massachusetts with his wife Deb, two daughters Sam and Ali, and their dog Nola. He is a life-long Patriots fan and season ticket holder. In his spare time, Jeff is the Chairman of the Development Committee for the Wildflower Camp Foundation, a foundation that helps children who have lost a parent by sending them to summer camp. He is also active in Wayland town politics. 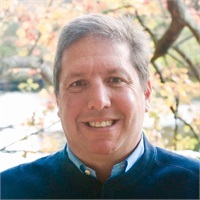 Jeff enjoys spending summers golfing and enjoying the lakefront in Maine.